Vanuatu Pastor Alan Nafuki, Chairman of the Vanuatu Free West Papua Association, has assured West Papuans that his people is supporting the territory’s full membership in the Melanesian Spearhead Group (MSG). 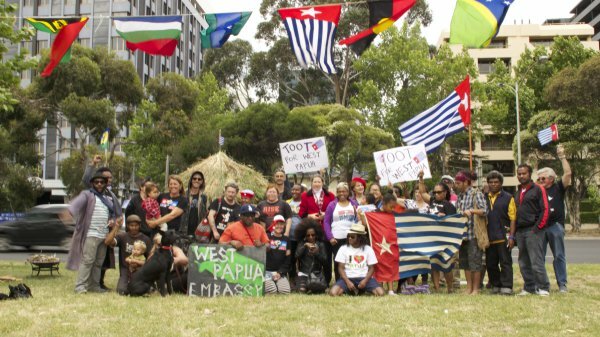 He, further, held out in prospect that this feat might even be accomplished before Christmas 2016, as the MSG Chair and several Governments are reviewing the MSG constitution for all legal options permitting West Papua’s accession. A Vanuatu churchman says there are plans underway to ensure West Papua will be granted full membership of the Melanesian Spearhead Group before Christmas. Summit meetings of the regional body have been deferred twice this year amid apparent disagreement among leaders over the issue. The Chairman of the Vanuatu Free West Papua Association, Pastor Alan Nafuki, said he received a briefing on the situation from the MSG's Chair and Solomon Islands Prime Minister Manasseh Sogavare last week. Pastor Nafuki said he'd been told the summit would now go ahead in early December whether or not all countries attend. He said full membership for West Papua would be a great achievement and like Christmas cake for all Melanesian countries. "I am satisfied with what he said and I am very pleased. I think some of the government people they are trying to revisit the MSG constitution and see what option they can take best to accommodate the West Papuans." Pastor Nafuki said he'd made sure the Prime Ministers of Vanuatu and Solomon Islands understood that the people of Vanuatu were 100 percent behind membership for West Papuans.